Most people don’t know who Andy Hallett is and even if you did know, you probably wouldn’t have recognized him in person. He played the demon “Lorne” on Angel. To some of us here at 21Pimlico he was a colleague and acquaintance, to some he was a friend, to millions of Angel fans like me he was an integral part of the show. The point is, at 33, he was way too vital to die. But he went and died on us anyway. This is bad news. It’s bad news because this was a person who was so utterly charming, talented and lovely that a role was dreamed up for him on a major network show by its creator. To have that kind of personality in a town that’s already brimming with personalities is really saying something. That is special. And so was Andy. I’m not saying nice things about him because he’s dead. I’m saying this because I love a person with vim and vigor who embraces life and love and song and grabs every chance and opportunity that comes their way in a graceful and grateful manner, like he did. There isn’t enough fun, thoughtful and kind people in the world and I’m at a loss as to why someone like that had to be taken at such a young age when they had so much to give. I’m angry because it’s unfair that Andy was bestowed with amazing natural gifts but had a heart that, at least physically, wasn’t up to the challenge of seeing exactly how far those gifts could take him. I’m pissed off because there are completely useless people walking around with perfectly healthy organs and they live to be a ripe old age. Then I stopped thinking about me for a moment and thought about Andy. He wouldn’t want anger or bad feelings or ‘what ifs’; he would want those who knew him and/or admired his work to remember him as the all-singing, all-dancing, all-smiling showman – in green make-up or not – who added spirit and colour to a TV show and to people’s lives. When I heard the news that he had passed on, I watched a DVD, because I knew that it was the best way to honour his memory and say ‘thanks’. I was sad but I also laughed at his quick, supple line delivery and felt comforted by his wonderful singing voice. I reckon he would have liked that. He knew he was lucky and those who knew him were lucky to know him. We should all be so privileged to leave that kind of legacy. His death isn’t front-page news, which is good, because he was a dignified person and I’m glad that he won’t be bothered too much in his final moments on this planet. My heartfelt sympathies go to his family as I can’t even imagine what they must be going through. I’m going to miss him because he made the room brighter, the songs more melodic and the quips more ‘zing!’ I’m trying my best to be like Andy and see the good side but I’m afraid I’m just not as adept at that as he was. But I’ll try. I promise. Wherever you are, Andy, we’ll keep the light on for you. 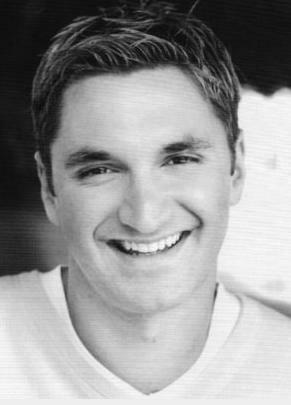 Andy Hallett died on March 29th of congestive heart disease in Los Angeles, California. If you would like to leave your condolences in the comments section, they will be forwarded to the appropriate people. « Top 10 Movies Set in L.A.
What really upsets me the most is the fact that Andy passed away for over a week andI didn’t find out about it until a few moments ago. I don’t really understand how that news passed me by. I met Andy a number of years ago at an autograph show. I can’t say that I had much of an encounter with him. I remember he was very pleseant, but he was wearing dark sunglasses to hide, what he said to me, were bloodshot eyes because he had a bit to much to drink the night before where he judged an American Idol type talent contest in Toronto. He was a friendly character, but we didn’t make much of an impression on each other. However, I did talk about Andy and his character Lorne in an article I wrote last year at http://www.popcultureaddict.com/television/tvtunesparttwo.htm. This is really sad news. You wrote a beautiful tribute to Andy Erin, and instead of trying to top it I will pay tribute to Andy at my own web-site later in the month by talking about his passing and attaching a link to your site for your tribute. It really is more beautiful then any words I could come up with. I love that article, Sam. I read it the other day. I would encourage everyone who liked Andy and his character on ‘Angel’ to have a look at it. I would also encourage you to write your Obit for Andy too, Sam. I think Andy deserves as many as possible from people who admired his work and you always write such great, in-depth ones with lots of interesting facts about the person. Genre actors don’t get a lot of news space, for some reason. I was kind of shocked that he didn’t get more really and this is an attempt to redress that balance somewhat. Thank you Andy, for the wonderful memories, of some very good TV! Thank you so much for this tribute! Since Angel ended I was constantly checking imdb to see when Mr. Hallett would be doing something next. He was so wonderful on Angel– funny, heartbreaking, and frightening– that I’m just amazed that he didn’t get more work right away. At the time, I hoped it was because he didn’t want the work and instead was doing the things he loved and spending time with his family and friends. Since he had to die so young, I’m sad that we, the public, have so little of his work to keep us company but hope that he spent his time the way he wanted to. it’s strange, just found out that andy died 3 years ago. i was always a big angel and buffy fan. 2 weeks ago i started to watch the angel seasons again for the 12th time. i can’t help myself but i have a difficult life and buffy and angel give me some comfort and make’smy life a little easier. last week i was looking up what the buffy and angel players have made of their career. than i saw the news of andy. he has past away 3 years ago, but it was a very big shock for me. i hoped it wasn’t real. but it is. he was a great person, i liked his music and the role in angel is a role only he could play that good.